WHAT: La Nouba by Cirque du Soleil announces a special $50 ticket price (plus tax) for Florida residents. 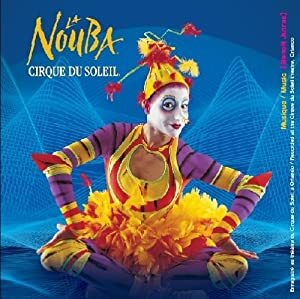 Seen by more than 8 million guests, La Nouba features high wire and flying trapeze acts, stunning acro-gymnastic performances and other dynamic displays of coordination and strength. La Nouba is performed exclusively at Downtown Disney West Side at Walt Disney World Resort. WHEN: This offer is available for performances August 2 – October 29 on category 2 seats. TICKETS: Florida residents can purchase $50 tickets (plus tax for adults and children) for performances August 2 – October 2 for category 2 seats only (rules and restrictions apply). Tickets are available by phone at 407-939-7328, or at the box office located on the plaza level of the theater. Cirque Club members can buy online at www.cirquedusoleil.com/lanouba (click the offers page for additional ticket information, rules and restrictions). To receive news alerts and priority sale details, visit www.facebook.com/lanouba. Group discounts are available by calling 702-352-0197. PERFORMANCE SCHEDULE: Tuesdays through Saturdays at 6 p.m. and 9 p.m. The theater is dark Sundays, Mondays and select times throughout the year – including September 20 – 24, 2011. ABOUT CIRQUE DU SOLEIL: From a group of 20 street performers at its beginnings in 1984, Cirque du Soleil is now a major Quebec-based organization providing high-quality artistic entertainment. The company has 5,000 employees from over 50 different countries, including more than 1,200 performing artists. Cirque du Soleil has brought wonder and delight to more than 100 million spectators in nearly 300 cities on five continents. This entry was posted in Circuses, Deals, Orlando theater and tagged cirque du soleil, Downtown Disney (Florida), florida, la nouba, Tickets, Walt Disney World Resort. Bookmark the permalink.